The European Tyre and Rubber Manufacturers’ Association (ETRMA) is the voice of the tyre industry in Europe, with a primary objective of representing the regulatory and related interests of manufacturers at European and international levels. Along with its members, the ETRMA is committed to reducing environmental impacts from tyres while ensuring high standards for safety-related performance of tyres. In the effort to promote good practice the ETRMA has launched the TyreAWARE campaign, which consists of basic guidelines and recommendations for tyre dealers and consumers. The materials are intended to help the value chain to share best practices about tyre handling and storage, service life and basic tyre safety and maintenance for consumers. All of these materials have been translated into the following languages and are available to download. Čeština, Dansk, Nederlands, English, Suomi, Français, Deutsch, Ελληνικά, Magyar, Polski, Română, Español, Svenska, Türkçe. Once you have read all of the materials, please take part in the TyreAWARE Quiz to test your knowledge on best practice. 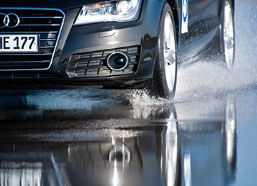 The European Commission has more information about how tyres affect overall road safety. The ETRMA is encouraging drivers to be TyreAWARE and sign the Project EDWARD safety pledge. 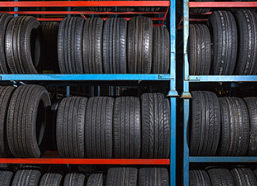 How do you properly store tyres? Learn more about the ETRMA’s recommendations for tyre storage and hear from an industry expert on best practice tips on tyre storage and handling. What is the service life of tyres? Tyre service life is a function of the service a tyre sees as well as the manner in which a tyre is maintained. Learn more about the various factors that could affect a tyre’s service life. How do you maintain tyres? 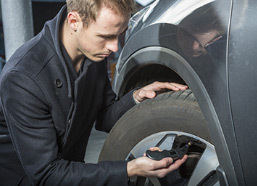 Tyre maintenance is essential in order to maximise tyre performance, service life and safety. Learn more about how to properly maintain your tyres.